If you've created your Hill House CampMinder account, log back in here! Kiddie Kamp at Hill House is the perfect combination of new and exciting experiences and a safe, familiar environment. Join Hill House's counselors for a summer full of games, crafts, stories, songs, age-appropriate athletics and outdoor fun. Your child will build confidence, independence and friendships. Each week, campers explore playful themes through crafts and songs that allow their imaginations and creativity to flourish. Learn more. New and experienced campers alike can join us for an action-packed summer full of exciting outdoor activities and weekly field trips. 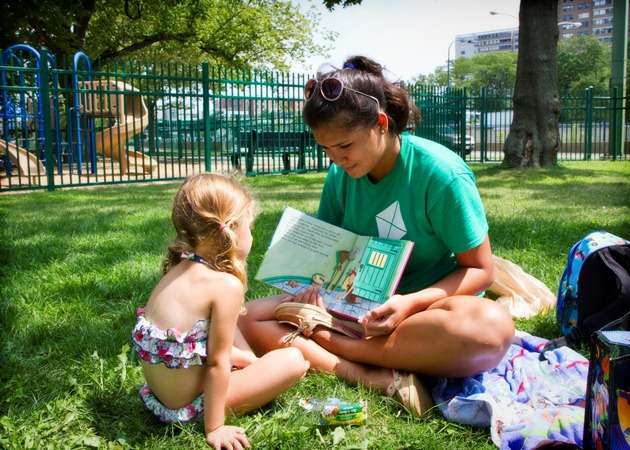 Whether they are making creating artistic masterpieces at the Firehouse, swimming in the outdoor pool at the Clubs at Charles River Park, playing field games on the Teddy Ebersol's Red Sox Fields, taking part in athletic activities on the Boston Common or having a dance party at 74 Joy Street; your camper will find something new to enjoy every day. Learn more. For parents who are looking for a few extra hours of fun during the day, we are happy to once again provide our Extended Day option! Extended Day allows you to drop off your child as early as 8:00 am and pick your child up as late as 5:30 pm. Extended Day is available to all of our Day Campers in Classic Camp and all Afternoon Activity Options. The cost is $595 per week for five days of 8:00 am to 5:30 pm camp ($50 additional for sailing option campers). Learn more. Hill House is proud to offer a LIT program for the second time! This program is designed for 13-15 year olds who wish to begin the gradual transition from camper to counselor. Each participant will take part in leadership workshops and one-on-one mentoring while planning, assisting with and evaluating activities at camp. LITs will help mentor campers, assist counselors, and participate in community service throughout each three-week program. LITs will learn conflict resolution skills, develop and define their own leadership style, build confidence, and strengthen interpersonal skills that can be used at home, school and in the community – all under the supervision of the senior camp counselors and staff. Additionally, each cohort of LITs will plan and execute a community service team project during their program’s time-frame. It’s all not work, however, as summer is supposed to be fun too! Our LIT's will benefit from some recreational time by participating in some traditional camp activities including swimming, sports, art, and field trips. Please email Chelsea at cevered@hillhouseboston.org for more details. 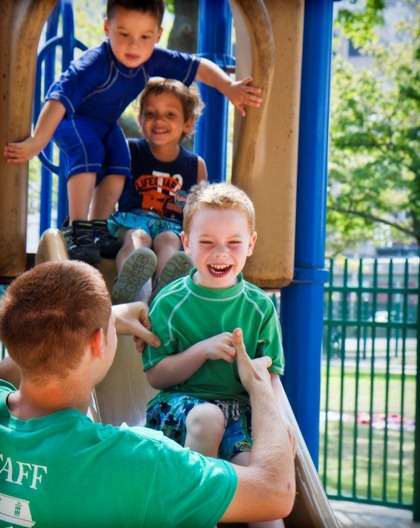 Sports Camp invites campers 7 + to spend weekday afternoons on the Boston Common and Teddy Ebersol’s Red Sox Fields. Participants will join their favorite seasonal athletic instructors to strengthen and develop athletic skills throughout the summer. Sports Camp combines Day Camp’s morning activities with an afternoon of structured athletics. 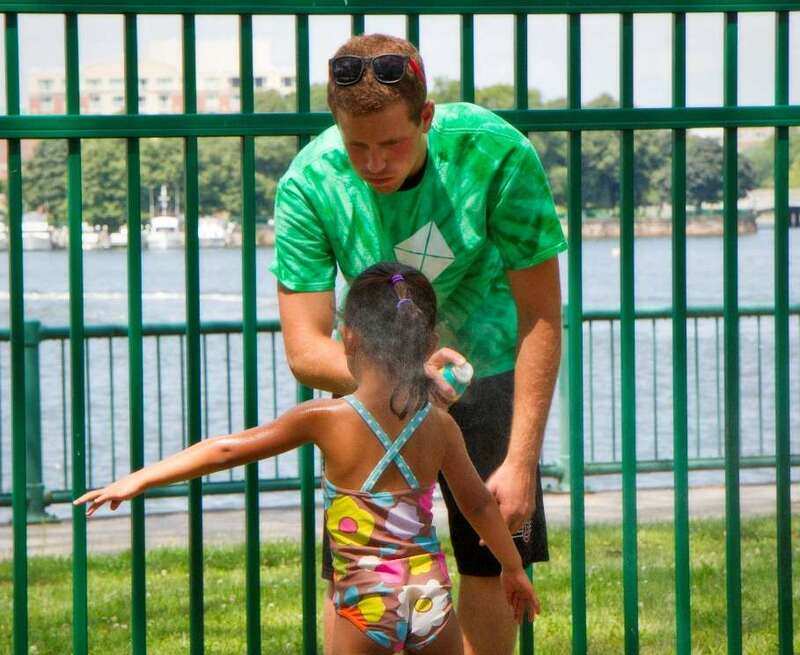 Sports Campers will join Day Campers to swim in the Charles River Park Pool, and for weekly field trips. Coaches instill confidence, sportsmanship and teamwork in sports campers while simultaneously providing an outlet for energy and creativity—campers will have the opportunity to choose activities and put their own spin on classic sports and games. In past years; soccer, baseball, basketball, flag football and capture the flag have been fan favorites. Learn more. There's a lot of creative energy at camp, and we're looking to channel it with our theater sessions! Our theater coordinator will introduce your camper to theater games, reading scripts to understand stage direction and coach them through lines and actions to contribute to a performance in our fourth session of camp. Parents will be invited to view their thespians in action! Preference for roles will be given to children enrolled in all three weeks to give a sense of direction in the performance at the end of the three sessions. Learn more. Be the star of your camp weeks! For these three sessions, campers will act in their own film. For the first week, they will become familiar with the script. In the second, they will begin filming. In the third, they will film the final scenes and undergo the editing process. Campers enrolled in all three weeks will be awarded lead roles to maintain consistency in the film. Children enrolled in one or two weeks will be extras or script specialists. Final cut of the film will be shown on August 4 for all of our enrolled campers and the parents of our movie stars, editing pros and creative writers. Learn more. Hill House is thrilled to be partnering with Community Boating for another summer in 2018! In this three week time block, our oldest campers will be walked over to Community Boating for sailing school, where they will learn safety measures, go through land drills, ride on a boat to get the "feel" of sailing before they take the tiller of their own vessel. Campers choosing the sailing option will need written proof that they have passed a swim test and can swim 75 yards on their own. The cost of the sailing option is an additional cost per week. Learn more. Are you looking to be a camp counselor? Check out our Careers page and watch this video of our staff training! Hill House is an American Camp Association (ACA) Accredited organization.